Able Muse Press, 9781904852285, 384pp. Margaret Ann Griffiths (1947-2009) was born and raised in London and lived for some time in Bracknell then later moved to Poole. Rather than seek publication through traditional channels, she was content to share her work with fellow poets on various Internet forums. On the rare occasions she submitted work for publication, it was typically to online venues. Also known by the Internet pseudonyms 'Grasshopper' and 'Maz', she began posting her poetry online in 2001. During the mid-2000s she worked from home, running a small Internet-based business, and edited the Poetry Worm, a monthly periodical distributed by email. In 2008, her "Opening a Jar of Dead Sea Mud" won Eratosphere's annual Sonnet Bake-off, and was praised by Richard Wilbur. Later that year she was a Guest Poet on the Academy of American Poets website, where she was hailed as "one of the up-and-coming poets of our time." She suffered for years from a stomach ailment which eventually proved fatal in July 2009. Almost immediately after her death was announced on Eratosphere, poets from all over the English-speaking world, from London, Derby, Scotland, Wales, Queensland, New South Wales, Massachusetts, New York, Minnesota, Missouri, Maryland, California and Texas collected her work for this publication. This publication is intended as an archive of Margaret's work and has been produced in alpha-numeric order as an easy reference to individual poems. The book contains 316 poems, some scraps, some work in progress, but mainly finished poems if poems are ever completely finished. The book now resides in the National Archive at the British Library and in the main Copyright Libraries. The intention was to preserve her work, which previously was scattered around the Internet in dozens of different locations. 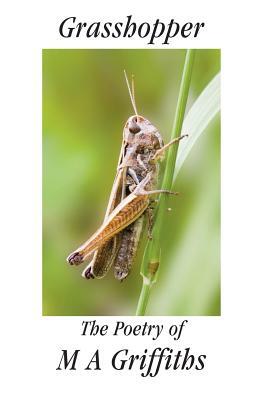 The book is also available for public access at the Saison Poetry Library in the South Bank Centre, London. First published by Arrowhead Press in the UK (January, 2011), this book is reprinted and distributed in the USA and Canada by Able Muse Press (April, 2011).